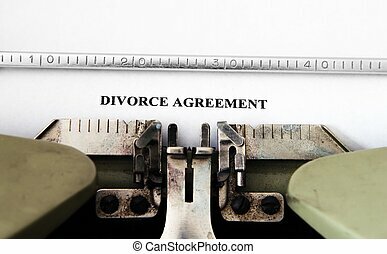 Pre Divorce Agreement Document, Ink-Bottle and the Fountain Pen. 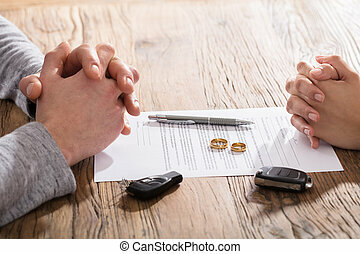 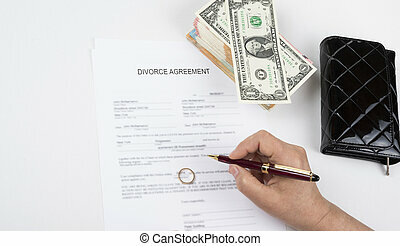 Divorce Documentation Photo Concept. 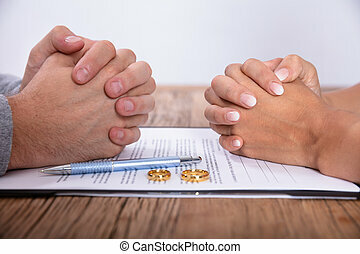 Divorce agreement. 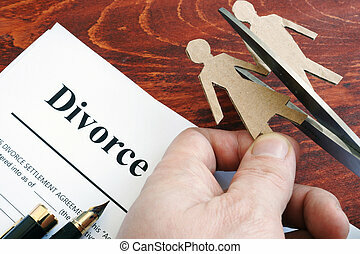 Woman is single after divorce. 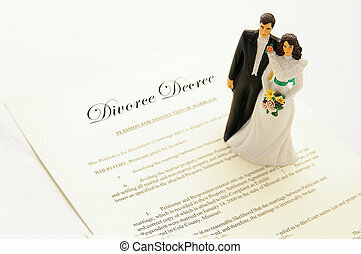 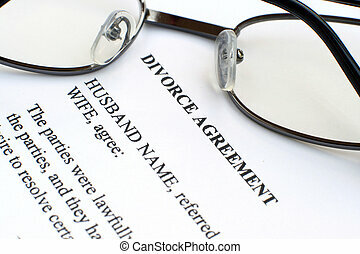 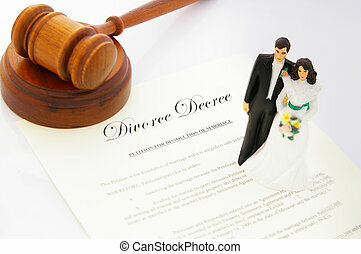 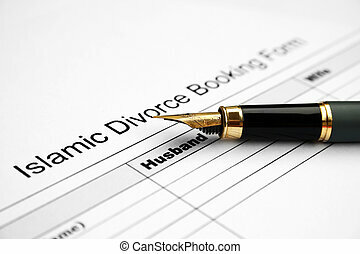 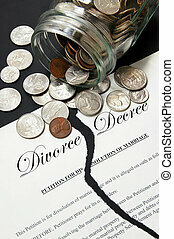 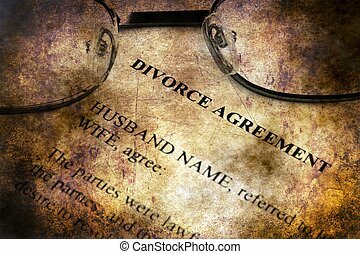 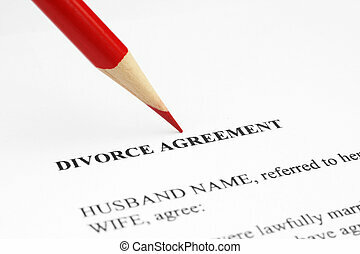 Divorce agreement form and figures of couple. Separation process. 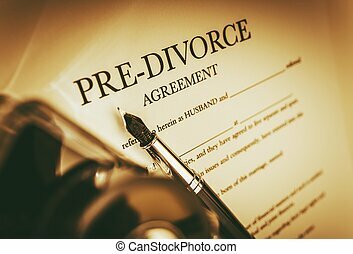 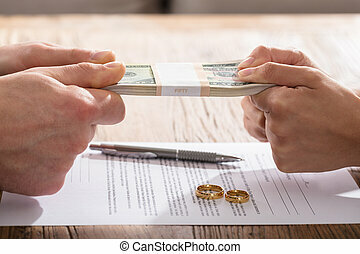 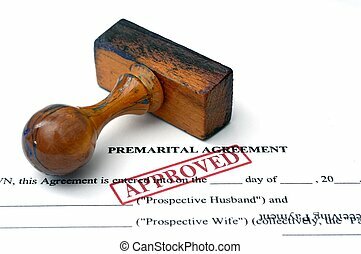 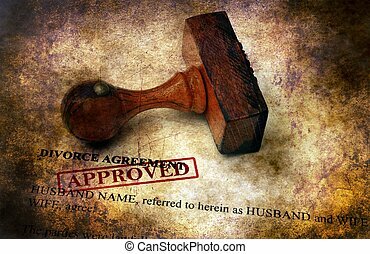 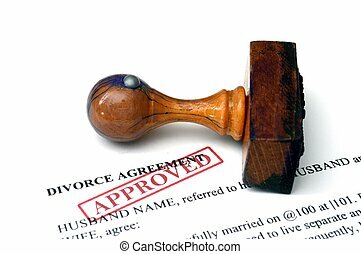 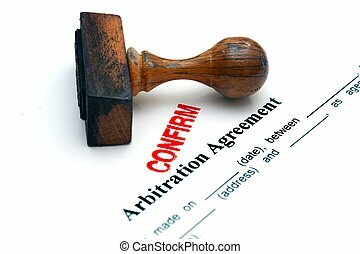 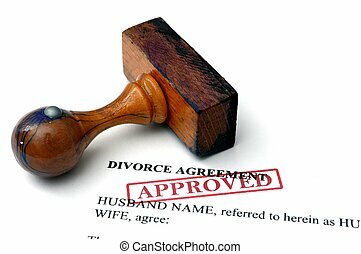 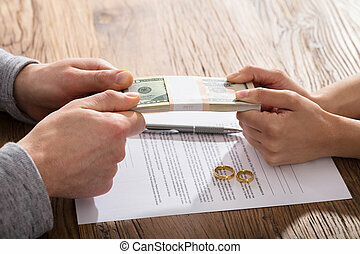 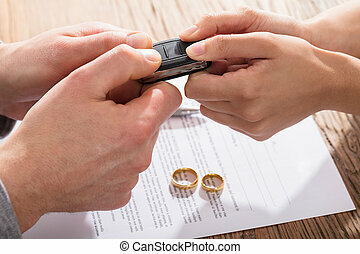 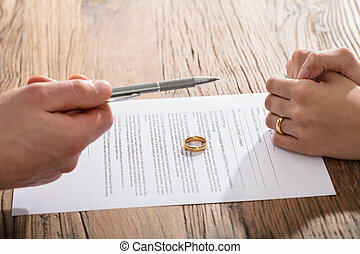 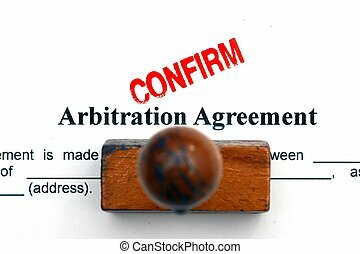 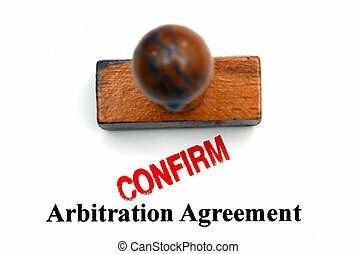 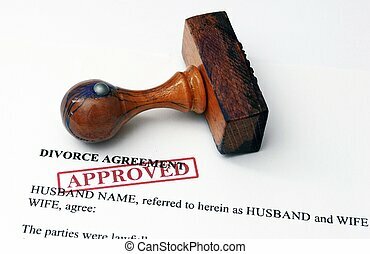 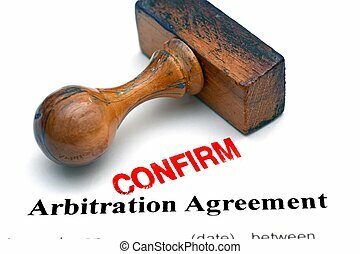 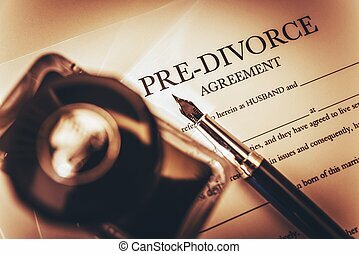 Agreement of Pre-Divorce. 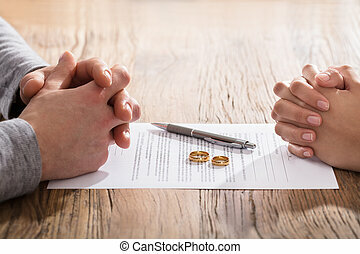 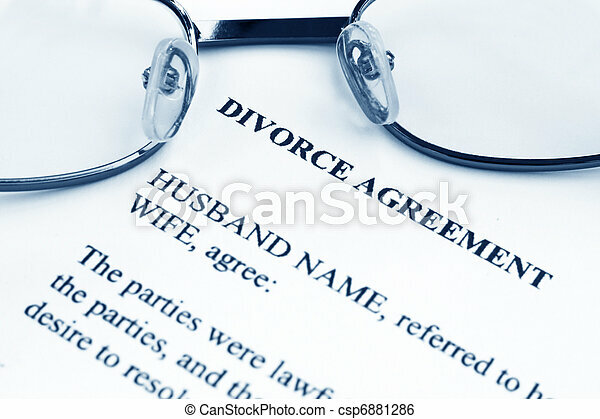 Legal Pre-Divorce Agreement Closeup Concept.